TheDgtl • View topic - Features Plugin Submissions? Discuss anything about TheDgtl here. This forum also contains all important announcements. Maybe a section where people cant post there plugins to be features in a Special section in the Forums, and have the Approved? Sign up for my forums at www.diamondore.org ! I vote for it. And for ingratiation into Drake plugin search. And I know your saying don't got time. But Im betting a good potion of the people who are actively chatting are ones wanting to see this community grow into something much more inviting and less nazi. You could potentially have to take care of everything and all you (Drake) need to do is Support and Code your stuff. I'm sure there are people who would be happy to see it especially with the forced move to BukkitDev. 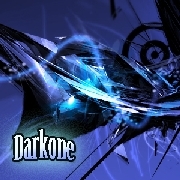 Last edited by Darkone003 on October 30th, 2011, 6:36 pm, edited 2 times in total. Hopefully the winter time bring that down to sub 40 weeks. I want this too. We needs it. I hate BukkitDev it confuses me. If you build it. They will come. ZeroPoke wrote: If you build it. They will come. *cough* oh no, I gave you the flu. Looks like you'll be @ home.